Yasiel Puig and the Los Angeles Dodgers were hoping to add a little jewelry to their collection on Wednesday night, but not only did they lose Game 7 of the World Series to the Houston Astros, but during the game, Puig’s home got robbed. According to TMZ a burglar busted through a window at Puig’s San Fernando Valley residence and made off with two fists full of jewelry. The entire thing was apparently caught on a surveillance video. This is the not the first time Puig’s home has been robbed. 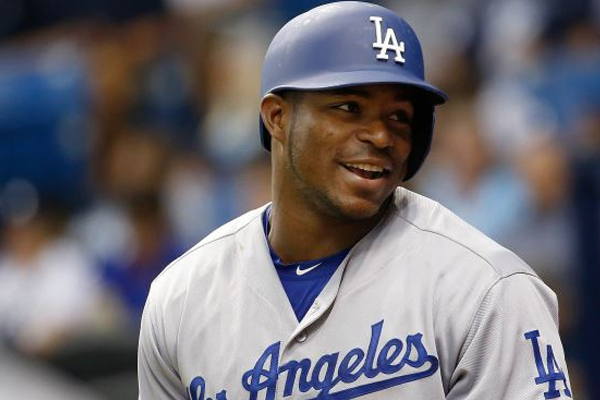 Back in March, thieves made off with $500,000 worth of jewelry after breaking into a different house owned by Puig. They were never caught. The good news is that this heist does not appear to be as large-scale as the previous one.